If you're a first-time buyer--or even a second time buyer--there are a couple of concepts that you should be familiar with in case you run across them. Lot-line windows: Not all the windows in an apartment are necessarily there forever. 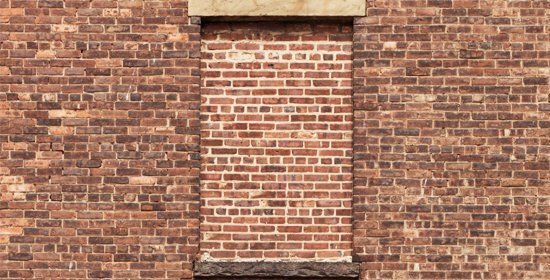 Lot-line windows, which face onto the 'lot line' or invisible property line between two buildings, are at risk of being bricked up, at your expense, if the adjacent property is built up. How can you tell if a window is of the lot-line variety? Very often they look a little bit different--with wire visible in the glass itself. But that's not always true. If you're buying a newer apartment it will probably be disclosed in the offering plan. Real estate agents must disclose the presence of a lot line window but only if they're aware of it, so make sure your attorney confirms that no windows in your prospective apartment are lot line windows. Usually lot line windows are 'secondary' windows are on the side of apartments--never in the front and rarely in the back. For more information on the impact to the value of an apartment--even before the window is bricked up--read this. A home office/den is not a legal bedroom: Legally speaking, a bedroom must have a window. Yet you will still run across apartment listings for "two-bedroom" apartments consisting of one legal bedroom and a windowless home office/den. Many apartment dwellers do, in fact, use windowless rooms as bedrooms, even though it's illegal. As one real estate attorney told us, "Child Protective Services will not come knocking at your door if you make [this room] into a nursery or kid's room." And many adults like them for their cocoon-like, blackout-quality peace and quiet. However you decide to use the space, don't be persuaded to pay as much as you would for a legal bedroom: Depending on the strength of the market, a windowless room is worth about 30-50% less than a legal bedroom, say real estate brokers and appraisers.